The Guangxi government's brutal enforcement of family planning policies has finally resulted in an explosion of popular anger. 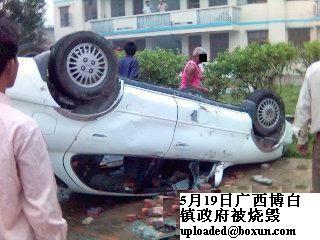 Over the past several days, there were large-scale disturbances in about 10 towns in Bobai (博白) county. Close to ten thousand residents torched government office buildings, toppled walls, set official vehicles on fire, smashed signs and chased and beat family planning officials. The government has sent fully-armed anti-riot police officers to suppress. During the violent police-citizen clashes, it is rumored that at least five people were killed and several dozens were injured. The government has emphatically denied that there were any deaths and that most of the injured were police officers and officials. According to information, the demonstration organizers are forming liaisons around the county and an even bigger disturbance is forthcoming. The government has announced that it "will resolutely combat this." Since the beginning of this month, there has been continuous clashes in Bobai county. 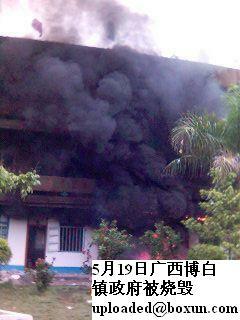 The biggest disturbance occurred at 11:40am on May 19. In Shabo town (Bobai county), a large number of citizens went to demonstrate at the Shabo town government office building to protest the brutal law enforcement. The officials had allegedly been apply the "Three Alls Policy 三光政策" (arrest everyone, fine everything, confiscate everything 抓光﹑罰光﹑抄光) to those citizens who violated the family planning strictures (note: the original Three Alls Policy is the Japanese scorched earth policy of 'kill all, loot all, burn all' during the WWII). The town government officials quickly locked the iron gate. As more and more gathered outside, emotions rose and someone threw rocks at the government office building and broke glass windows. The police tried to stop the people and the two sides faced off each other tensely. According to eyewitnesses, the family planning officials were standing on the roof of the three-storey government building. They were dressed in camouflage uniforms and carried police batons. 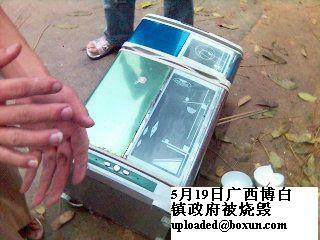 Suddenly a brick flew down from the top of the building and injured a demonstrator. The crowd exploded in anger and toppled the western wall. Then they went in and set the office on fire. 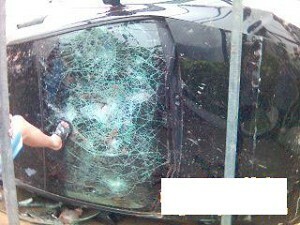 Many cars and motorcycles in the government office courtyard were vandalized. 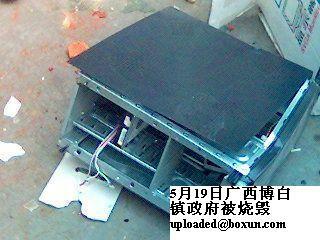 The demonstrators also went in and smashed the computers, water fountains, television sets and video recorders. They also ripped the government office sign down and trampled upon it. At least one family planning official was killed. As a result of these large-scale public disturbances, the local government has mobilized close to 1,000 armed police officers plus many fire engines to control the situation. The deep background of the disturbances is about the fines imposed for exceeding family planning quota. The Bobai county authorities had been criticized by their superiors for failing to meet the job requirements with respect to family planning. Therefore, the Bobai county authorities have issued 28 new family planning policies so far this year. 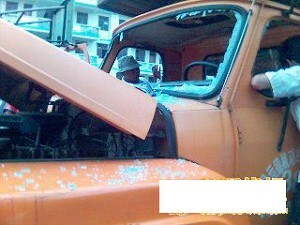 They announced that they will have "steely determination, steely methods and steely discipline" against those violators. For the first extra child, the fine is 12,000 to 20,000 yuan; for the second extra child, the fine is 20,000 to 28,000 yuan; for the third extra child, the fine is 28,000 to 36,000 yuan. In 2006, the average annual income per capital is 2,000 yuan. Furthermore, anyone who had an extra child after 1980 must pay 10,000 to 70,000 yuan in "social childcare fees" no matter whether they had already been fined already previously. 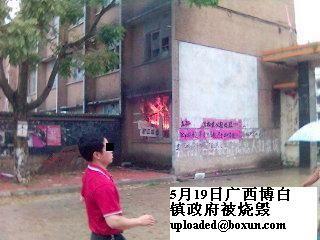 Previously, on May 17 and 18, there had been large-scale disturbances in Datong town, Anyong town, Yingqiao town and Dungu town and the respective government offices were torched. 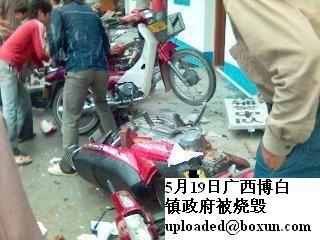 In Shuiming town, even the vehicle of the Bobai county public security bureau chief was set on fire. Many police cars sent from Yulin city were stopped by crowds in the middle of the road. 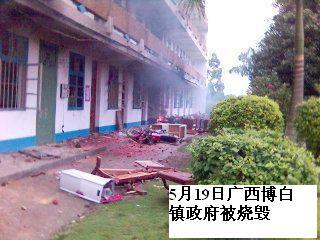 Among the several dozen casualties, many are junior high school students. These students saw their families being fined and looted by the government because they had exceeded the family planning quota. They saw parents being sterilized or even forced to have abortions. So they took advantage of the school vacations and joined the demonstration. 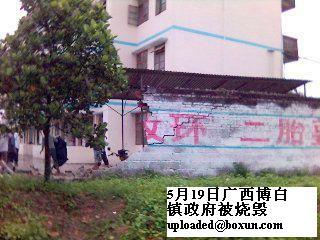 The police were wary about taking action against the students. 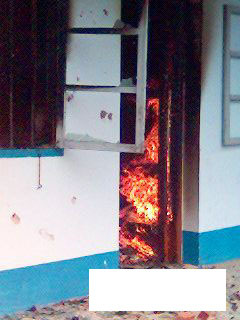 Among the several dozen casualties, police officers and family planning officials were the majority. 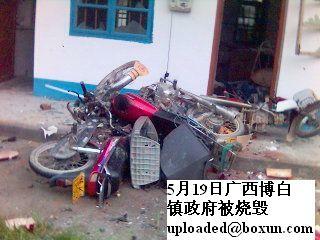 It is rumored that there have been five deaths, of which three were family planning officials. (Apple Daily; ) Earlier this year, there was a Guangxi government meeting over the enforcement of family planning policies. In the performance review, it was found that Rongshui county (Liuzhou city) and Cangwu county (Wuzhou) had especially been ineffective and, furthermore, the relevant officials might have been filing false reports about the family planning data and administrative records (such as birth registrations). The government then punished those officials according to "the veto 一 票 否 決" which meant that they would lose their annual bonus as well as any promotions for the next year. In addition, Bobai county (Yulin city) and Dieshan district (Wuzhou city) were given the "yellow cards warning 黃 牌 警 告" to shape up immediately or else face the consequences. 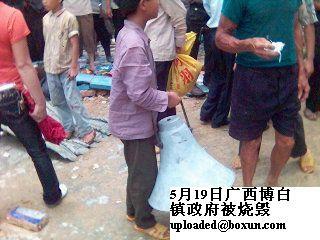 Meanwhile, in Rong county (Yulin City), a massive family planning campaign was conducted during the May 1st golden week. The government mobilized large numbers of family planning workers to collect "social childcare fees" from those who violated the family planning policies. Within a single week, the county collected 34 million yuan. That campaign has now amassed almost 100 million. The success of Rong county showed other counties the way. The most detailed account of what is happening in Bobai county is in a deleted post at Bobai Online but captured by Boxun. This is a very long article and here are some highlights. ... The county party/government demands that all public servants in the county to personally accomplish two goals by August: (1) get one person (male/female) to undergo sterilization; (2) collect social childcare fees of 500 yuan or more. ... Since early February, the cadres at the county, town and village level have blanketed the area to enumerate the population and update the family planning database. This will allow the pregnant women who have violated the family planning policy to be made to "wear an IUD after the first extra child" and "be sterilized after the second extra child." 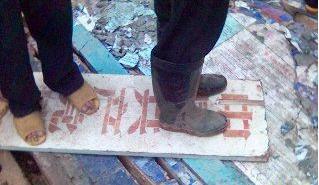 Any female who fails to show up for inspection will be fined 1,000 yuan. Against the individual families ("nail houses 钉子户") or pockets of resistance ("dead corner villages 死角村"), there will be a massive show of force. ... Concerning the situation in which the target persons in Jiangning town have been fleeing over the reservoir area to go into hiding, the government employed 24-hour-a-day boat patrols and have intecepted 252 persons who then had the relevant family planning policies carried out on them. Concerning the illegal elements retaliating against the family planning workers in Yingqiao town, more than 300 police officers were sent in to surround the town and arrest 13 persons. ... Concerning the failure of certain cadres to carry out their assigned duties, 104 cadres have been expelled from the party and relieved of their public offices. ... So far this year, the county has spent more than 12 million yuan, mobilized more than 200 vehicles, made 4,663 permanent banners, erected 182 large-sized billboards and distributed 305,000 publicity flyers. According to statistics, as of April 24, the county realized 17,268 instances of the "four methods 四术" (IUD, sterilization, induced abortion and surgical abortion) and collected social childcare fees totaling 7,881,000 yuan. (SCMP) One-child policy enforcers likened to Japanese army; Bobai residents vow to fight back if crackdown continues. By Chow Chung-yan. May 23, 2007. The once-tranquil rural backwater of Shabi village in Guangxi continues to be a centre of anger and defiance days after residents rioted over the local government's rigid enforcement of the one-child policy. Order has been restored in Shabi and nearby villages within the town of Bobai, part of the prosperous industrial city of Yulin . Apart from occasional police patrols, there are few outward signs of the riots that shocked the country this week. But a perceptible sense of frustration and anger still hangs over the place. Hundreds of residents have visited the families whose houses were ransacked by government officers during the recent crackdown. They say it is a show of unity and a vow to fight back again if the local authorities repeat their provocative action. Authorities made no arrests after thousands of angry residents protesting against what they called "brutal enforcement of the one-child policy" stormed a government office building last weekend. 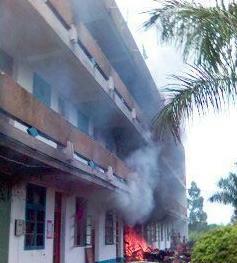 The riots are said to be the biggest social unrest in the region in the past few years. 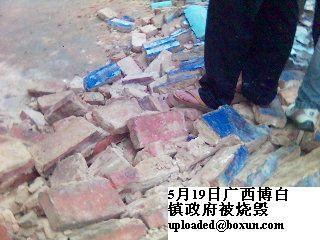 Residents said yesterday they had been "pushed into a corner" by the brutal enforcement of the local authorities. "They are just like the Japanese army," one man said. "They come in and take away everything we have. They take away pregnant women and force them to have abortions. They impose ridiculous fines on us. We are fighting for survival." The villagers accuse the authorities of arbitrary law enforcement and claim many officials have made fortunes by imposing arbitrary fines. "Some unmarried women have even been fined and forced to have surgery [to prevent them having children]," another man said. Some families say they lost everything overnight after they refused to pay the penalties. One woman said her house was stripped bare by government officers after she could not pay a 26,000 yuan fine for having a second baby. "They knocked down our door one night last week and started to search for valuables," she said. "It was as if we were robbed. They took away everything useful - even my kitchen utensils. They then pulled out our windows. We lost our home overnight." The family said they have to sleep under a staircase because even their bed was confiscated. There are many similar cases in Bobai. "The most important thing for a family is a secure place to live and food to eat. If you take these things away, everyone will revolt against you," a neighbour said. "Maybe some of us have violated the one-child policy but it is not a crime that deserves such punishment." 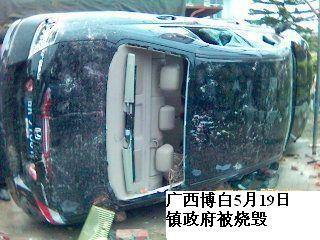 (Reuters) Farmer breached China family rules, house ransacked. By John Ruwich. May 25, 2007. Bu Feng's one-storey brick and concrete farmhouse in southwestern China lies dark and nearly empty. "There used to be glass on all these windows," a neighbour said. "There used to be a wooden door, a nice one. And, look, the electric fan is gone," he added, pointing through a window at the bare living room ceiling. "The government took it all." Earlier this month, as locals tell it, Yulin city in Guangxi region launched a harsh campaign to rein in "excess births" and strictly enforce the one-child-per-family rule imposed nationwide in 1980 to curb China's soaring population growth. Those deemed to have broken the rule at any time since 1980 without paying the requisite fine were served a notice ordering them to pay exorbitant "social support fees" or face the consequences. Bu has three children, and like others in the neighbouring hills, he couldn't pay the fine, so officials came about 10 days ago to collect in kind. Bu wasn't even home - neighbours say he is in the regional capital seeking medical care for a sick child. In his house, a cheap-looking shelf stacked with clothes remains in one room, broken and abandoned by the people who came to collect the other goods, the neighbour said. Last week, hundreds of protesters in Bobai county and neighbouring areas fought officials and police, burnt vehicles and attacked government offices in anger at the tough new family planning drive. 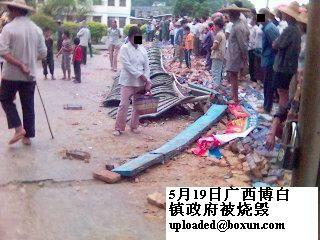 Twenty-eight people were detained in Bobai, the Xinhua state news agency reported. Some locals said thousands had protested. After the riots, the county relaxed the birth control drive and some townships returned many of the items taken from locals. For years, family planning was lax in the area. But in early March, Yulin city, of which Bobai is a county, held a meeting to assess the past year's efforts and set goals for 2007. In a speech, Mayor Jin Xiangjun noted that Bobai had received a "yellow card" warning in 2006. He called for "stabilisation of the low birth level by all means necessary" across Yulin and said leaders would lose their jobs for missing targets. This year, too, the costs of family planning work were to be paid directly out of the local coffers, to be funded by collection of "social support fees", Jin said in a copy of the speech seen on a Web site affiliated with the Yulin government. China's population control Web site, www.chinapop.gov.cn, said in late April that Bobai's party committee, government leaders and other officials had been "dealt with" for their poor birth control record. A handful of leaders in the county had been dismissed from office, and 104 other workers in public office sacked for violating family planning laws, it said. In Datong village, where Bu's family lives, the government is still holding many of the household items they took, locals say. 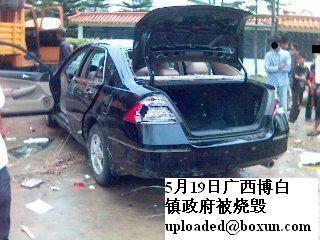 At about the same time Bu's house was raided, Zhang's family was also given notice. Zhang has two granddaughters, 7 and 8. "You, married couple, have broken the law and had..." - blank underlined space with the number 2 handwritten in it - "...children, and should pay a social support fee of..." - another blank space with the number 14,598 - "...yuan," the notice started. According to a document handed to villagers detailing how the fees were calculated, the average income of farmers this year is 2,797 yuan ($365). 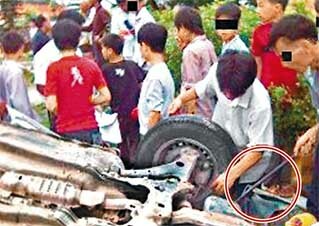 "They came with a truck," Zhang said, showing a list he kept of all the items that were taken. "Rice hulling machine, sofa, 500 catties of rice, brass clock..." Two days ago, Zhang was able to collect his goods, and now they are back in place in his home. 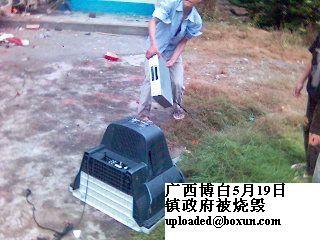 "I still had to pay 800 yuan," he said. 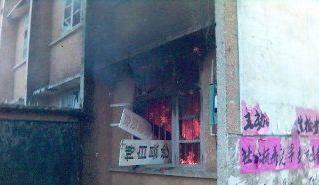 Chinese villagers riot over stricter population-control New York Times By Joseph Kahn. May 21, 2007. 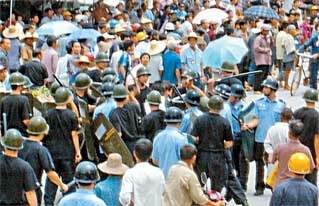 Villagers riot as China enforces birth limit The Guardian. By Jonathan Watts, May 22, 2007. 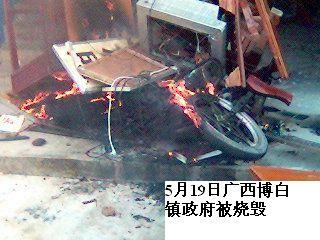 28 arrested in China for birth quota riots By Joseph Kahn. May 23, 2007.